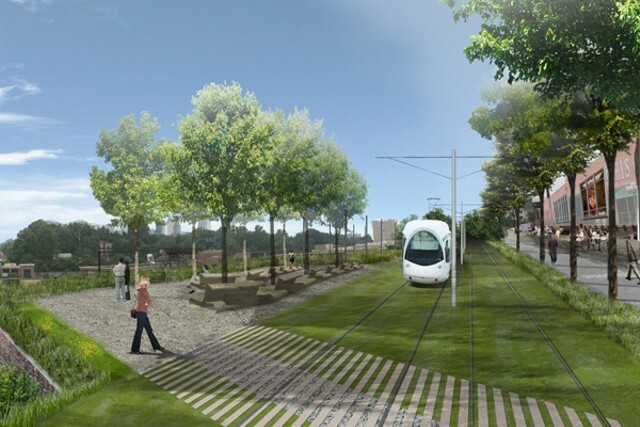 The Atlanta Beltline is a massive urban redevelopment project that will provide a network of public parks, trails and transit along a historic 22-mile railroad corridor circling downtown and connecting 45 neighborhoods directly to each other. 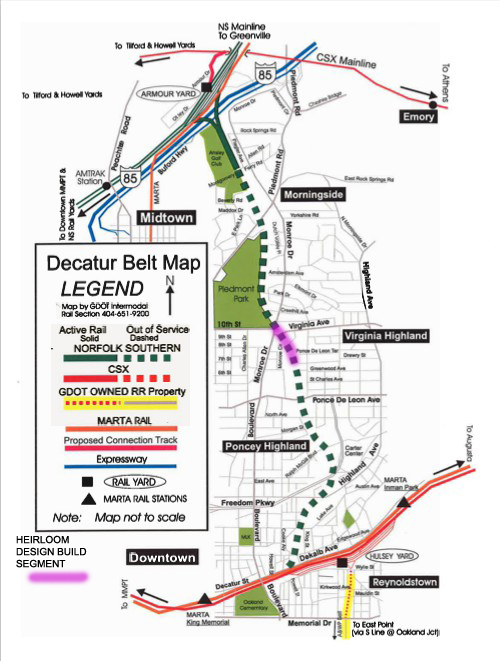 Long before this project became as well-known as it is today, Heirloom Design Build CEO Dave Radlmann was selected to work on two Southeast subareas of the Beltline. For two years, he worked on the zoning and planning with both Beltline subarea steering committees. The committees were put in place for the rezoning and planning around the district. They were involved with everything from the planning of the parks to the rezoning around the future Beltline stations. As a result, Heirloom Design Build became the very first business to adopt a Beltline segment! Northeast Segment #1, 10th St & Monroe Dr. to Drewry St. is currently in construction to become part of the Eastside Trail, a 2.5 mile long segment of trail and linear greenspace that will start at Monroe Drive and 10th Street and end at DeKalb Avenue. Construction will be underway until early 2012, but you can see a map of our segment below. Stay up to date on construction progress by clicking HERE! Click here for a calendar of local Atlanta events you can print out and hang up on the fridge! Heirloom Design Build has adopted a segment of The Atlanta Beltline! Learn all about it here and stay tuned for upcoming volunteer opportunities! Read about Heirloom Design Build in the news. See us on HGTV's Curb Appeal: The Block!